There’s a saying that history never repeats itself — but it does rhyme. And as I return from the inaugural Web3 Summit in Berlin — a gathering of projects and innovators who are all working on driving forwards this new concept of Web3 — it seems more relevant than ever before. The message is clear. Whilst we face the greatest opportunity that civilisation has ever seen to build technology to power a new world that is based on the foundations of improved global collaboration, the stakes are higher than they’ve ever been. And the promise of breaking new ground is only exceeded by the risks of failure if we get it wrong. With the SAFE Network, we’re building a vision of this new decentralised, inclusive future that is, I would argue, more extensive than most. But there remains a significant overlap in vision with many of the projects in attendance. The devil, as ever, is in the detail. The venue itself was stunning, located as it was within the old DDR building in Berlin from which propaganda was spread across the radio. This symbol of the old world’s dependence on centralised, controlled and restricted communications acted as the perfect foil for the thousands of individual conversations that took place during the three days about the future of the world that we’d like to live in. At its core, Web3 is all about control — but by the individual as opposed to centralised authorities. The focus is on ownership of personal data (in its many guises) combined with architectural resilience in the face of entrenched traditional powers. In days gone by, monolithic state infrastructures would have played those roles in isolation. Today, however, that definition of power has been extended to include our new technocratic overlords, in the form of GAFAM etc. But tomorrow? That is where we have a choice. With the promise of that data ownership will come new opportunities — for individuals to choose if and when to share and even if they’d like to monetise their data moving forwards. And an opportunity to end to the broken commercial model that drives the internet today — the advertising that drives a pay-per-click model and clickbait, with platforms pushing the content that angers you, as they seek to engage you for longer on each page that is paid for by a company that requires eyeballs to serve up to advertisers. To recap, Web 1.0 was all about placing static content online. Web 2.0 (a term coined by O’Reilly Media in 2004) gave us a revolution in the form of the read-write-publish web — an opportunity to interact with content online by taking part in social conversations, wiki’s, blog publishing and community building. A huge step forwards but with one vital flaw. As more and more data and information flooded online, the shadow of platform risk hung over society’s activities — the chance that any third party could decide to remove your content at will. Remember Geocities? If you grew up on the Net in the 90’s, you’re likely to remember the collection of user-generated webpages — and how it disappeared when Yahoo shut it down. The future can’t be one in which human endeavour and creativity is simply lost to the world if it doesn’t dovetail nicely with a specific commercial model (although thanks to the Internet Archive, many of these were preserved). So Web3 should ensure that this data will be distributed and no longer reliant on single insecure central parties. I’m in two minds about the term Web3 myself. The community needs a rallying phrase to assemble around, I’d agree. But I think there’s a risk that it focuses attention on the front end, the user experience of this new paradigm — whilst underplaying the significance of the changes that are taking place under the hood. Because a significant part of this new world doesn’t simply come down to where the data is stored. Today, we can also now move forwards on the basis of a new trust that the data we receive has not been falsified, a reassurance that doesn’t rely on the intentions of those traditional third parties. Clearly, technical challenges still exist. Some believe that the answers lie in blockchain technology. Others, like MaidSafe, believe that different structures are required if we are to build a next generation web. But either way, it’s clear that there is much more that needs to be worked on than ‘simply’ breaking new ground in computer science. But what I really liked about the Summit was the fact that much of the techno-utopian hype was tempered by the insightful comments from those with broader experience of where we’ve been. The internet was built for connectivity — not for security. However, the Web today fails in achieving even that basic aim. Because Web3 is not a new term. It was previously used to describe the Semantic Web — the dream of connecting data between the platform silos that was originally championed by Sir Tim Berners-Lee amongst others. And on today’s web, data portability is little more than a dream. And whilst there is an overlap between the two communities (crypto to web standards), it’s not a perfect fit and those are many conversations that need to take place between the groups. It’s a key reason why we at MaidSafe are working to build ensure that TBL’s SOLID project is compatible with the SAFE Network, for example. Because the reality is that the first attempt to decentralise the web failed. Partly due to technological constraints admittedly. But that doesn’t tell the full story. History shows that a focus on technology alone is rarely enough. Caused in part by the short-sightedness adoption of the techno-centric ‘field of dreams’ approach (i.e. build it and they will come), led many to simply assume that adoption would be guaranteed if you simply build the best technology. It wasn’t. Instead the atmosphere of the Internet community changed radically with the vast influx of capital into the technology sector. And as technologists insisted on championing their own competing standards and bodies, the only ones that ultimately benefited from the chaos were the large Internet startups who managed to solve the only question that mattered in Web2.0 — how to turn data into money. So we watched as technical breakthroughs were commandeered and ultimately powered Google’s sign-in process and Facebook’s Social Graph, for example. So moving forwards, it’s naive to assume that there will not be attempts to capture and influence the future direction that any technology takes. And so it remains today. Even within the decentralised Web3 community, the risks of corporate capture loom large. A key message here is that ultimately all new technology mirrors the attitudes of its creators. For good. Or bad. As Sir Tim Berners-Lee has pointed out, what makes the web important is not that the fact that web pages exist — but that each of those web pages represents a real human at the other end who is creating value for others around the world. This time we need to lock the web open. 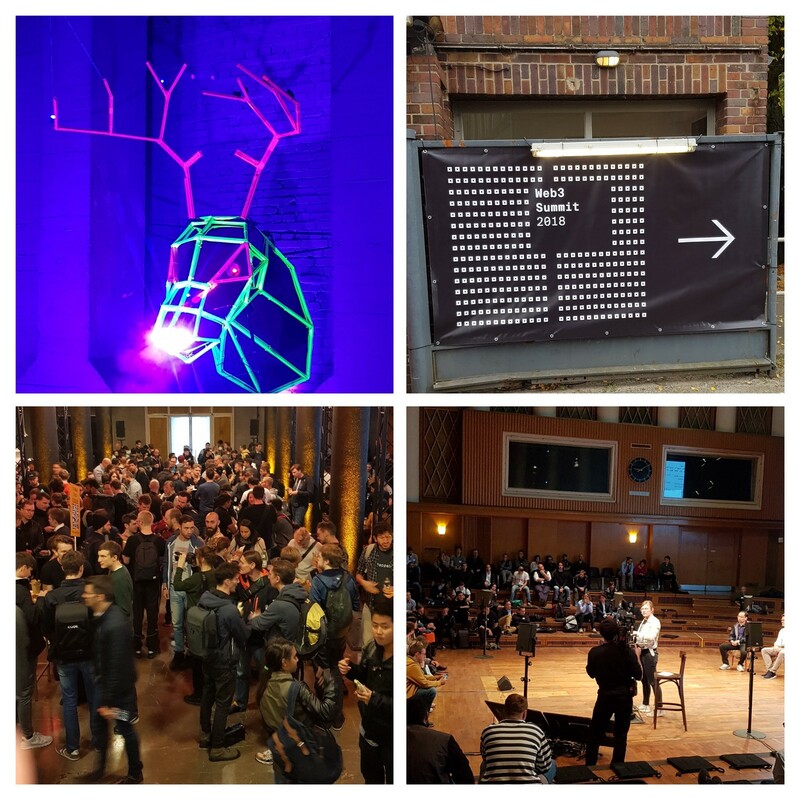 The Web3 Summit was tangible evidence of the huge enthusiasm for the opportunity that faces us all to advance human civilisation in a way that has never before existed. But as important as cryptocurrency has proven in the incentivisation of disparate interests around the world, a sobering reminder comes from engineer and inventor Douglas Engelbart, who once wrote: the Internet isn’t about making money; it’s about augmenting our intelligence. It’s a vision that benefits everyone. But it’s important that everyone — and not just a bunch of predominantly Western developers in their early twenties — gets involved. The stakes are far too high. Because this isn’t just about making improvements. Today, we stand at a fork in the road. One path leads off to the creation of what many believe will be a fairer, more just, decentralised society. Yet if we choose to do nothing, instead continuing along the current path — or perhaps we simply fail to coordinate our efforts in collaborative way — the road we travel may very well lead only to a dystopian surveillance society with little personal freedom. A world in which we ultimately become powerless to do anything as our data is consumed by the insatiable appetite of machine-learning and AI algorithms, as they relentlessly build and optimise the tools of the state. The software is open source. The community is growing. And the door is open. But not forever. It’s up to us — every one of us — to roll up our sleeves and get involved. The future depends on it.